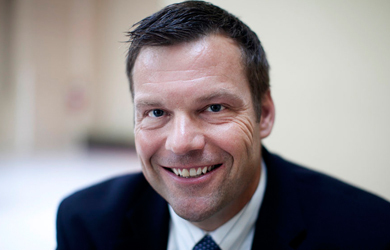 A state elections board has prevented Kansas Secretary of State Kris Kobach from forcing the status of 12,000 voters into limbo, but he doesn’t get what the big deal is. Kobach hit a speed bump this week in his effort to implement a new voter ID measure that requires voters to produce proof of citizenship when they register to vote. As Think Progress reported yesterday, a computer system delay has caused the voting status of 12,000 Kansans, most of whom registered while doing business at the DMV under the “motor voter” law, to go into limbo. To “fix” this problem, Kobach suggested that the 12,000 voters effected by the computer glitch be forced to cast provisional ballots in the next election. If they wanted those ballots to count, they would have to later go to local election officials armed with proof of citizenship, such as a birth certificate. Kobach said his proposal would have given voters, particularly those who could participate in upcoming special elections this fall, an extra week to prove their citizenship. But he said those who remain in suspense probably only registered after being asked by clerks at the Department of Motor Vehicles and aren’t likely to be very active voters. To put this in perspective, Kobach’s justification for pushing the voter ID law in the first place was what he alleged were 221 incidents of illegal voting in Kansas over the period of 13 years, only seven of which resulted in convictions.